Iconic pieces from stage and screen to go under the hammer next month. 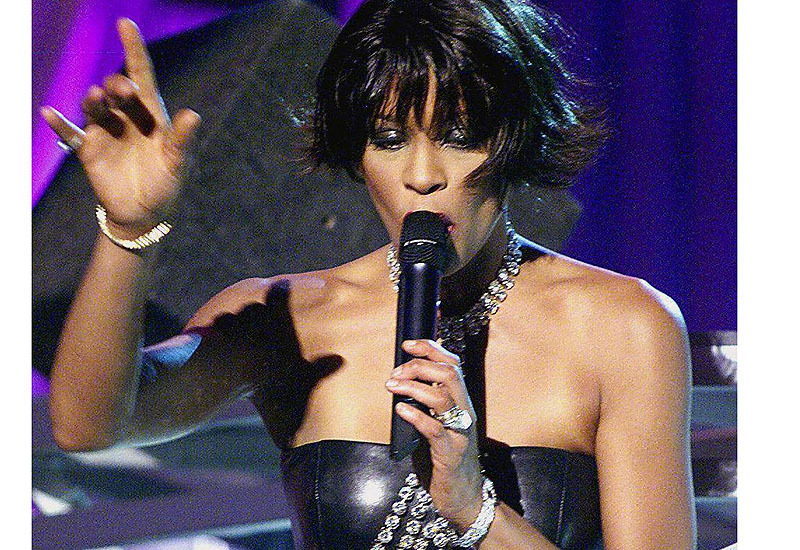 Jewellery worn by Whitney Houston during her musical and movie career are due to be auction in Los Angeles next month. A scheduled sale of Hollywood memorabilia already included items from Houston, and will go ahead as planned at the end of March, the auction house has revealed. "In a rare twist of fate, several items from her musical career and movie appearances will be available, as if the pop legend was determined to keep her presence alive," said celebrity auction house Julien’s Auctions. The original estimate for pearl drop earrings worn by Houston in the 1992 hit movie The Bodyguard, was $600. That could rise considerably in the wake of the star’s death, although the auction house denied they profiteering. A spokesperson said the inclusion of Houston memorabilia was an appropriate celebration of her life.